How to create a sponsorship program and proposal with a 7- step approach. Finding prospects and getting in the door, designing and writing a program, sample correspondence, contract agreements. Detailed and comprehensive. 176 pages and easy to use. 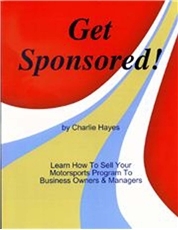 If you are serious about getting sponsored, you need this book.